Today we continue the second part of a two-part series on the ongoing protests in Venezuela. In part one, Nicholas Laursen wrote about the history of the Venezuelan constitution, the oligarchical parties that dominated the political landscape until 1999, and the Chávez administration’s dedication to a democratic process of constitutional revision. Now we move from history to a discussion of the current situation. What drives the current opposition to Maduro? The answer is mostly economic—the current protests are related to a rise in crime and inflation, as well as shortages. However, at their core, these grievances are more the ails of the wealthy, propertied classes, and they highlight the economic tension and disparate interests between rich and poor Venezuelans. In order to understand these, however, we have to go back to economic history. The Venezuelan economy is based on petroleum and manufacturing. The petroleum industry has been the bedrock of the economy and has fueled many of the Bolivarian reforms. The US is Venezuela’s largest trading partner, and from 1998-2008 the Venezuelan government received $325 billion from oil and exports in general. According to the International Energy Agency, of the 2.2 million barriers a day of oil produced in Venezuela, 800,000 go directly to the US. From the 1950s until oil was nationalized in 1976 (Petróleos de Venezuela), the government profited from oil relative to the stability of the political situation at the time. In the 1980s the collapse of oil prices devastated the economy and the percentage of people living in poverty rose from 33% in 1984 to 66% in 1995. After his election in 1999, Chávez attempted to work within OPEC to raise oil prices. However, Venezuela was bound to the OPEC quotas established in 2002, and the prices did not rise high enough to adequately finance growth. This caused a recession and depressed the market, causing the government to seek international assistance. The adherence to OPEC oil prices was a shift to the traditional pro-US oil policy; seeing that it happened during the United States’ War on Terror, Chávez’s stance was seen as that of any enemy of US interests. Since 2002, oil production has continued at a diminished rate and remands a large source of international contention. Overall, while oil prices were depressed the Venezuelan economy grew at a rate of 16.4% in 2004. And while the government was criticized as becoming increasingly socialist, government investment stayed at about 30% throughout the Chávez administration. This is less than US allies like France (49%) and Sweden (52%). By 2010, the Venezuelan economy fell back into a recession and oil production fell. While the poverty rate has dropped dramatically, the overall Venezuelan economy had been in a state of stagnation and decline since 2010. This culminated with inflation, shortages, and a generally drop in the economy. So we enter into this discussion with a better picture of the economy and of the political situation leading to the new constitution, post-Bolivarian Revolution. Let’s delve a little deeper into the causes of the recent riots. In order to see the relationship, we have to look at each of these grievances in turn—crime, inflation, and shortages. The crime rate in Venezuela has soared recently, and the nation is home to one of the most endemic homicide rates in Latin America. For any individual, regardless of nationality, having to contend with this daily insecurity is a nightmare. But the violence in Venezuela only pales in comparison to the levels of inequality and poverty, which have declined since 1998 but remain high. It is no coincidence that Denmark, with a GINI coefficient (a standard measure of wealth distribution) of only 0.23, contends with much lower crime levels than Venezuela, which has a GINI coefficient nearly twice that of Denmark. Like the other grievances of the opposition protest movement, crime should be viewed as a symptom of an unequal society, not as the disease itself. In other words, even the so-called bad apples are victims of a lack of economic opportunity. There are two approaches to dealing with this social problem. One is to hire more police to squash the bad apples. This is the preferred choice of the rich—the more chaos there is, the more they can push for police and military presence. Since the rich are dead-set on reinforcing their property rights—and one of the main functions of police, in any society, is to be the armed wing of property reinforcement—this benefits them economically. Likewise, rich Venezuelans benefit from policing more; yet this is not a distinctly Venezuelan problem. Most of us feel much safer walking around rich neighborhoods as opposed to poor neighborhoods. This is not a truism, but rather dependent on class privilege. Would you wear your fancy watch while walking around East New York City or Irvine? If we all had fancy watches it wouldn’t be an issue. If there were armed police officers on every street corner, the rich could wear their Rolexes anywhere. The more holistic and sustainable approach is to instead treat the underlying problems of poverty and inequality that give rise to crime; the economic justice approach entails increasing access to necessities (food, work, healthcare, housing), along with economic opportunity (which is often interchangeable with access to basic human rights). Obviously, this has more overall benefit to all castes of society; it’s akin to the difference between treating a disease and curing it. There is justification in the public outrage towards insecurity, but the blame is misdirected. Since 1999, the governments of Venezuela have been aggressively treating the disease—indeed, the GINI coefficient is slowly but surely declining. Currently, crime is rising as the vice of repression towards the poor is being loosened, and the victims of inequality realize and become indignant at the unjustness of their economic state. Inflation is a monster. Living in Argentina, a country with a very high rate of inflation, I’ve witnessed its devastating effects. I’ve also heard a great deal of analysis of its causes and costs, which by and large are very inaccurate. Perhaps most dangerous is the argument that inflation affects the poor the most. The poor, especially in the Latin American context, live their economic lives very much outdoors—a tragedy itself—and often do not, and cannot, save money. A discarded mattress on the curb has no monetary value for the person who has to use it to sleep on the street; its value is unaffected by inflation. These are the kind of assets the poor hold, and those without savings are affected by inflation only inasmuch as they participate in the market with their dollar, as earners or spenders; many of the lower classes do no earn consistent wages. Yet the upper classes do. They have savings, investments, salaries. Inflation affects these to a greater degree. By most measures inflation in Venezuela is currently around 50%, meaning that the purchasing power or real value of one’s savings will be two-thirds of what it was after the course of a year. This is not ideal for any class. But it provides the basis for outrage from the class that it affects most—that is, those with savings, the upper and upper-middle classes. There are multiple causes of inflation. Most laypersons are aware of inflation as the result of what happens when the government “prints too much money.” This idea is a gross oversimplification. True, Weimar Germany, post-WWI, paid off their war debts by printing money, causing hyperinflation. Most of us have seen the infamous photos of families burning worthless Deutschmarks to stay warm. But in the case of Venezuela and other countries, inflation has less obvious origins. When a country cannot produce enough to accommodate increasing aggregate demand, the supply curve is fixed in the face of increasing demand and prices go up. To give an example, bread prices are cited as high in Venezuela; this is because demand is increasing yet supply is stuck. One long-term key to reducing inflation is to increase the production capacity—again, investment in production. The catch-22 is that as inflation rises, the cost of investment rises. The most steady and logical way to address this is to call for additional well-formulated and planned public spending. Unlike free market actors—who are fickle spenders and don’t necessarily make investments with a goal of alleviating inequality—public spending ideally has a structural goal of alleviating certain social ills. If there is a real, unbiased critique of the Venezuelan government at the moment, it would have to be that while it has focused public spending on welfare programs to help poor Venezuelans suffering from underdevelopment, this public spending has not been utilized in ways that might develop the infrastructure and increase the production capacity. From an ethical standpoint, the increased spending on welfare is just; as mentioned, Venezuela under the Bolivarian Revolution made enormous strides in reducing inequality and alleviating poverty. Yet from an economic standpoint, welfare transfers increase demand; people who were once starving are now buying food and materials. Increased demand offers opportunities to expand production and the GDP. If that does not happen—if supply remains stagnant, because of lack of investment— then inflation is the only result. This situation—the trade-off between ethical obligations, providing welfare to feed one’s people, and the resultant inflation—is a profound moral and philosophical quandary. To represent it as anything other is to mask the social reality of Venezuela. Only the most cold-hearted economist would argue that welfare, and all the deaths it prevents, is bad because it leads to inflation. Yet the common depiction of Venezuelan political leaders is that they are economic fools, trashing their economy with out-of-control inflation, rather than moral politicians enacting ethically sound policy that saves lives. Still, there are some in the Venezuelan upper-classes who would prefer their pocketbooks stay plush than see their poor counterparts survive. As we have seen, shortages can be tied to social welfare programs that are alone morally just. And of course, shortages affect overall well-being, not just the well-being of specific classes. Yet to understand shortages, we must note that they are inherently tied with another ethically convoluted policy decision: protectionism. Protectionism—the act of taxing or limiting imports, so as to protect a home country’s production of a good—is not limited to countries like Venezuela with less “free” economies compared to the United States. Much as the United States would like to think of itself as a free market, federal bills like the Farm Bill severely hamper this in effect. The United States does not have many high tariffs, but it does have subsidies that act as negative taxes, in many cases supplanting a native country’s ability to produce the same good. Corn is the most oft-cited example of this: the US issues incredible subsidies to corn farmers, to the extent that neighboring countries like Mexico, despite their lower wages, cannot compete with cheap American corn exports. Likewise, protectionism appeals to certain nationalist sentiments about the source of one’s products; indeed, there are still many Americans who refuse to buy cars that are not made in America, though the US has no tariffs on cars (much as the Big Three automakers may wish for them). In the case of Venezuela, protectionism was seen as a means of promoting nascent industries in the home country. There are obvious negative aspects to protectionism and high tariffs: if a country opens its borders to all foreign goods, prices go down for said good and—at static incomes—more people can afford these goods. However, local production is unable to compete with more efficient (foreign) economies, national production is reduced as a result, fewer people have jobs or at least they have lowered incomes, and as a result fewer people can afford these goods. As with inflation, we have another moral quandary: is it better to be able to afford goods, but find them occasionally unobtainable due to shortages? Or is it better to see these same goods every day as you go about your search for work, but not have the income to afford them? Like inflation, one’s response to this question depends on your income, your job security, what sector of the economy you work in, and, fundamentally, your socioeconomic class. The underclass would rather be able to afford necessities; the wealthy would rather they have their luxuries, meaning the poor would not have their necessities. Taken alone, crime, inflation and shortages are related to just policy decisions made by the Venezuelan government, acting in interest of the majority of its constituents and with democratic will. Who benefits least from these policies? In short, the upper classes. In other words, the recent riots can be summarized in two words: class war. But not in the form that we are used to. The current crisis is not an instance of the impoverished masses demanding redistribution. Instead, the current government has relied very little, in relative terms, on direct appropriation of wealth and has instead implemented economic policies that will continue to benefit the lower, suffering echelons of society at the expense of shopping malls, luxury vacations, and imported luxury goods. In every conceivable way, the protests in Venezuela are counterrevolutionary struggles for the socioeconomic self-preservation of a privileged lifestyle and consumption pattern. Up to this point, we have focused on the underpinnings of upper-class dissatisfaction with the current economic regime and the basis of the current protests. Taking this into consideration, the vested interests of the opposition, let us now, briefly, look at what is actually happening, the nature and strategy of the protesters and the role of the US. A Wikileaks-derived document revealed that, in the ten-year period from 2000-2010, US agencies “channeled more than $100 million … to opposition groups in Venezuela. [The] overall objective was regime change.” This is an astonishing sum to spend to unmake a democratic movement abroad. The presence of a student movement within the current anti-government protests has led to some mistakenly perceiving the protests as having a democratic basis. This is not a big leap to make; the majority of student movements throughout history—whether in Chile, the United States, France or more recently in Quebec—have been largely left- or left-libertarian. The Venezuelan student movement, on the other hand, is one specifically composed of student with a radical rightist agenda, often from privileged classes. And unlike the nonviolent ideology at the core of the US and Chilean student movements, the Venezuelan opposition is not shy of using violence to undermine democracy. Many protesters have been noticed carrying firearms. A motorcyclist was killed last week when a metal wire strung by anti-government protesters in order to impede traffic cut off his head. This is significant because violence, unlike democracy, tends to destabilize and create chaos. The presence of violence has magnified the polarization between the left and right, and the left has responded by organizing its own rallies in support of the Bolivarian Revolution. This time, however, legitimacy lends itself towards the pro-government camp. Because the Bolivarian Revolution has continually proven its mettle at the ballot box, the reactionary right has become aware of the futility of democracy to achieve their aims, and has now turned to non-democratic, violent means to change the political and economic course of the nation. They did so in 2002 and in 2003 as well, but failed. Because the international media has covered the ongoing crisis in such a concertedly manipulated fashion, the collective understanding of the situation in the outside world is far from reality. One Venezuelan colleague summarized the goal of Twitter campaigns, a biased media and general attempts to portray this as a people’s fight for democracy: lie, lie, lie and something will stick. 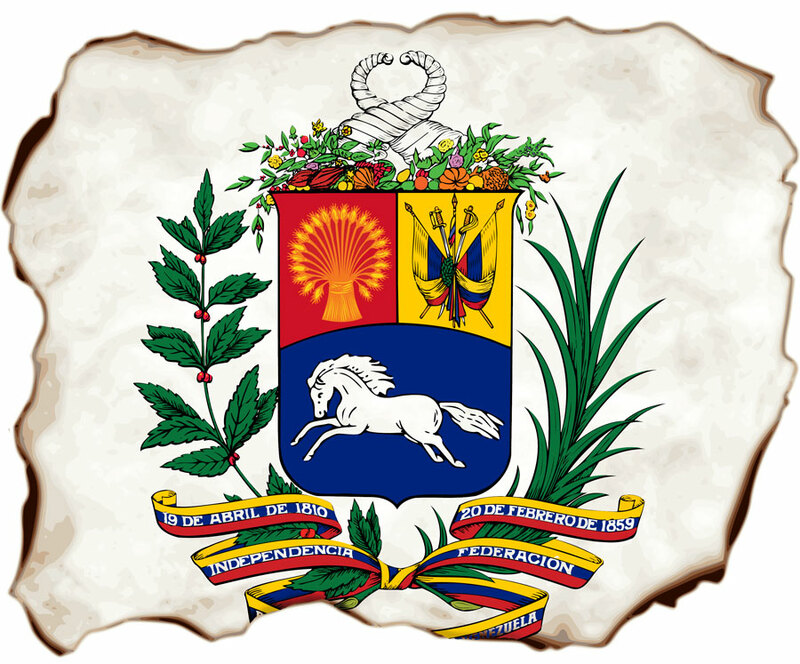 This entry was posted in Features, Politics and tagged bolivarian revolution, chávez, class war, economics, maduro, venezuela on March 8, 2014 by Nicholas Laursen.